ARTE ET LABORE, reads the Blackburn Rovers logo: skill and hard work. Blackburn, a town in the centre of the Industrial Revolution, couldn’t be nearer to the theory of skill and hard work. The inhabitants have always given their all, and while the club may not be the best supported in English history, it is certainly one of the traditional clubs in the country. 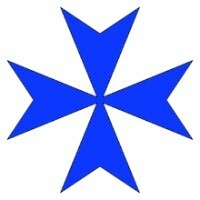 In the early years of formation, the Maltese Cross was worn on the left breast, on a white jersey with a blue and white cap. The reason behind this was a nod to the founders of the club: John Lewis and Arthur Constantine, local students of a public school strongly associated to the Maltese cross. Blackburn had vast early success, winning the FA Cup twice in the 1800’s, as well as a couple of League Cup triumphs in 1912 and 1914. In truth, the crest of Blackburn Rovers is neither the most aesthetic or best designed, and probably not as recognisable on the global level as some predecessors in this series, and certainly still to come. However, the Latin motto summarises football in the best possible way and, contrary to the thoughts of those that pump unthinkable money into the game, it is the very essence of football. In heraldry a red rose stands for divine love or motherhood, while a white rose indicates wisdom. Henry VIII of England created the Tudor Rose–a white rose for the House of York superimposed on a red rose for the House of Lancaster–when he united the two families by his marriage to end the 15th-century Wars of the Roses. The glory years of Blackburn Rovers came in the 1990’s, where this crest and kit become an iconic duo in Premier League history, when they won the Premier League title. Not quite Leicester, but Blackburn’s title charge is widely regarded as a bolt from the blue. In a team including Shearer and Sutton, it was the Arte Et Labor that combined to help Blackburn to one of the biggest surprises in English football history.